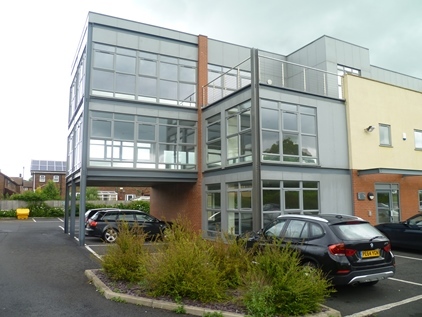 The Crossroads is an office development located on the corner of Blackpool Road and Freckleton Street in Kirkham, approximately 8.4 miles from Blackpool and 7.5 miles from Preston. All local amenities are provided within Kirkham town centre, approximately one mile to the west of the subject site which includes a large Morrisons superstore. a ratio of one space to 300 sq ft | Twin compartment skirting trunking with provision for data cabling | Open plan office layout | Fibre broadband ready.